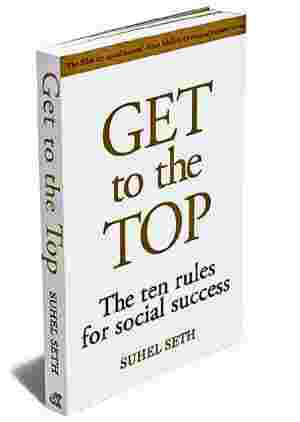 Get to the Top: By Suhel Seth Random House India; 204 pages; ₹ 250. Never make clients out of friends, make friends out of clients. You might think this is a completely counter-intuitive rule. After all, surely the whole point of being networked is to be able to leverage it, right? Wrong. When you begin to think about all your friends as potential clients, your entire mechanism for be-friending someone changes. Usually clients are demanding and they have every right to be. This puts a strain on the friendship. We may feel our friends have suddenly changed as people and are no longer on our side. They, on the other hand, might feel that we aren’t giving them the service they deserve as professionals and are taking advantage of the shared friendship. In the past, I’ve often had colleagues come to me with the complaint that they brought in a new client into the advertising business, using their friendship with the client and how their relationship has fallen apart. This is a common occurrence and I am never surprised when it happens. Work must eventually be merit driven. On the other hand, friendship is often driven by values and emotions. These two different motivations exist in their own silos. Also, remember the last few rules. Friendships have to be based on equality. But here’s the corollary (and this is the real meat of this rule, as far as I’m concerned): try and make friends out of clients. Both Analjit Singh of Max India and Kingfisher’s Vijay Mallya became friends after becoming clients for example. If clients become friends, it solidifies the relationship. After all, it’s because they value your advice that a friendship develops. So, how do you turn your professional acquaintances into friends? First, remember that your initial dealings with them should be absolutely clean. For example, I have never charged tobacco and alcohol bills at a hotel to the client when I’m staying at their expense. I will never charge the client for any dinners or lunches that I have not had in my room. This also means I will not be inviting the whole world and running up an enormous bill. Why charge my client for something that has nothing to do with the work that I have come to do? Second, I make sure work is strictly work. I have never wooed a client unprofessionally, never taken them to fine restaurants, never bestowed expensive gifts on them and never offered any inducements to seduce them into working with me. Nor do I usually do so with existing clients. The line demarcating the professional should be clearly drawn. Finally, let your clients come to you. Work hard for them, be forthright in your opinions and you will gain their trust. This is how clients become friends. The resulting personal relationship becomes an expression of their faith in you professionally. The secret to converting a client into a friend is that you have to be someone they trust and respect at work. Remember, it is your work that counts first with them. However, there are some sub-rules to this. If your client–friends walk out of the professional relationship, you must remain friends. It is very tempting to lose one’s cool and say “to hell with that bloke" but in the long run, it is not worth it. Why lose both a client and a friend when you can lose just one? Friendship is ultimately more important than business. As I keep saying, relationships need investment but where relationships are different from stocks and shares is that if you are in a relationship, you cannot measure it by the “return on investment". If you do, you are dead. If you have made such an investment in your clients and they in you, why lose it over business? You should have gone past it. You can only make friends out of clients if you don’t discuss work outside the office. Remember, work ends at the office. If you are unable to manage this distinction, then you should keep clients as clients. Analjit and Vijay often come home but when they do, we talk about other things. With Vijay, the subjects tend to be politics, global trends, women, cars, and the latest films. Analjit is perhaps one of the most attention-to-detail people I have ever met. He and I chat about various things, from trends in alternate healing to new business ideas to life habits and so on. I always try and put various clients together if I think they will suit one another. When I was consulting NDTV on their lifestyle channel, I suggested they pair up with Kingfisher. Thus was born the channel NDTV Good Times. NDTV found their sponsor and it was an incredible branding opportunity for Kingfisher. Both were grateful to me for finding them a win-win situation. Getting two groups together, where both benefit, is good business and good karma. Do it if you can, and you will reap a multitude of rewards as time goes by. A relationship cannot be a façade for something else, so don’t muddle it with work or muddle work with play. 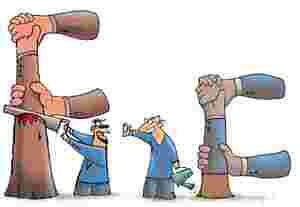 Remember, clients will always have a shorter lifespan than friends. Go for the latter as often as you can. If the former happens, it is a bonus but not something that should drive you.